On September 21, 2018, Ur-Energy Inc. (the “Company”) entered into an Underwriting Agreement (the “Underwriting Agreement”) with Cantor Fitzgerald & Co., as representative of the underwriters named therein (the “Underwriters”), in connection with an underwritten public offering of 12,195,122 of the Company’s common shares (the “Common Shares”) and accompanying warrants to purchase 6,097,561 Common Shares, at a combined public offering price of $0.82 per share and accompanying one-half warrant. Each whole warrant is exercisable for one-half common share at an exercise price of $1.00 per whole share and will expire three years from the date of issuance. Under the terms of the Underwriting Agreement, the Company granted the Underwriters a 30-day option to purchase up to 1,829,268 additional Common Shares and additional warrants to purchase up to 914,634 Common Shares. On September 24, 2018, the Underwriters partially exercised their option to purchase 867,756 additional warrants to purchase an additional 433,878 Common Shares. The gross proceeds to the Company from the offering are expected to be $10.0 million, before deducting underwriting discounts and commissions and other estimated offering expenses payable by the Company. All of the securities in the offering are being sold by the Company. On September 25, 2018, the Company entered into a Warrant Agreement with Computershare Trust Company, N.A. (the “Warrant Agreement”). to the Warrant Agreement, the warrants may be exercised at any time on or after the date of issuance and will expire September 25, 2021. The warrants contain provisions that prohibit exercise if the holder, together with any affiliates, would beneficially own in excess of 4.99% of the number of Common Shares outstanding immediately after giving effect to such exercise. The holder of the warrants may increase or decrease this percentage by providing at least 61 days prior notice to the Company. In the event of certain corporate transactions, the holders of the warrants will be entitled to receive, upon exercise of the warrants, the kind and amount of securities, cash or other property that the holders would have received had they exercised the warrants immediately prior to such transaction.The warrants do not contain voting rights or any of the other rights or privileges as a holder of Common Shares. There is no established trading market for the warrants and the Company does not expect a market to develop. In addition, the Company does not intend to apply for the listing of the warrants on any national securities exchange or other trading market. 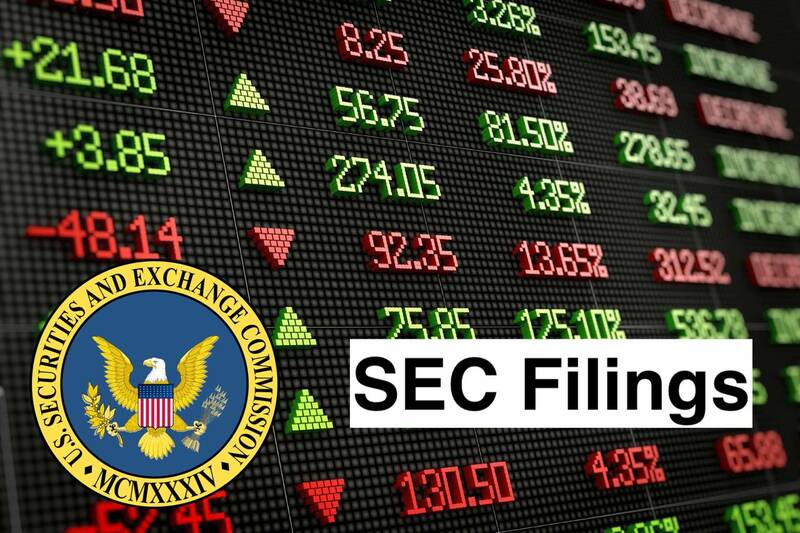 The offering is being made to the Company’s effective shelf registration statement onFormS-3(Registration No.333-219433) previously filed with the Securities and Exchange Commission and declared effective on August 3, 2017, and a preliminary andfinal prospectussupplement thereunder. The Underwriting Agreement contains customary representation, warranties and agreements by the Company, customary conditions to closing, indemnification obligations of the Company and the Underwriters, including liabilities arising under the Securities Act of 1933, as amended, other obligations of the parties and termination provisions. The Underwriting Agreement has been filed with this Current Report on Form 8-K to provide investors and security holders with information regarding its terms. It is not intended to provide any other factual information about the Company. The representations, warranties and covenants contained in the Underwriting Agreement were made only for purposes of such agreement and as of specific dates, were solely for the benefit of the parties to such agreement, and may be subject to limitations agreed upon by the contracting parties. The preceding summary of the Underwriting Agreement and warrants is qualified in its entirety by reference to the full text of the Underwriting Agreement and the Warrant Agreement, copies of which are attached as Exhibit 1.1 and Exhibit 4.1 hereto and incorporated herein by reference. Ur-Energy Inc. is an exploration-stage mining company. The Company is engaged in uranium mining, recovery and processing activities, including the acquisition, exploration, development and operation of uranium mineral properties in the United States. Its flagship property is the Lost Creek Project in Sweetwater County, Wyoming. Its land portfolio includes over 10 projects in the United States. Approximately 10 of the United States projects are in the Great Divide Basin, Wyoming, including its flagship project, Lost Creek Project. It controls a total approximately 2,100 unpatented mining claims and over four State of Wyoming mineral leases for a total of approximately 42,000 acres in the area of the Lost Creek Property, including the Lost Creek permit area and certain adjoining properties, which refers to as LC East, LC West, LC North, LC South and EN project areas. Its Wyoming properties together total over 66,000 acres and include over two properties Shirley Basin and Lucky Mc.